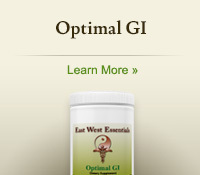 Provides optimal cleansing nutrition for those patients suffering from conditions and symptoms associated with toxicity. Includes: 1 bottle of Optimal Cleanse (21 servings), 1 bottle of Optimal Movement (100 capsules), specific instructions, shopping list, meal plan, and delicious recipes. The Optimal Cleanse is a rice protein-based functional food meant to provide optimal cleansing nutrition for those patients suffering from conditions and symptoms associated with toxicity. The Optimal Cleanse features a unique rice protein concentrate produced via a patented process that has a lower allergy potential than normal rice. This rice is fortified with the amino acids lysine and threonine, resulting in a complete, high quality and easily digested vegetable protein. A detoxification cleanse allows two things: A free-flow of substance and energy through the liver, lower abdomen and cellular activity throughout the body. And secondly, it helps support the body nutritionally, allowing nutrition to be absorbed more efficiently. This is a wonderful example of a balance of Yin (nutrition) and Yang (movement allowing the release of toxins). It provides excellent macro and micronutrient benefits. Additionally, the proteins found in Optimal Cleanse feature a unique blend of vitamins, minerals, amino acids and antioxidants designed to support healthy Phase 1 and Phase 2 hepatic detoxification. An emphasis has been added to support those patients having low Phase 2 activities. Many toxins are unable to escape our bodies and can be stored for years or even decades. These toxins can be responsible for weight gain, irritability, loss of concentration, allergies, skin conditions, hormone imbalances, cysts, and poor digestion. 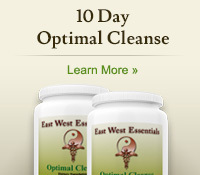 The 5 Day Optimal Cleanse is designed to detoxify and prepare the body for optimal health. 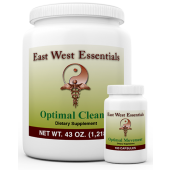 Every day you will have a combination of East West Essentials’ rice based Optimal Cleanse shakes and a detailed list of specifically targeted foods. The program is designed for you to be having something every 3-3.5 hours (shake/food). Because this is a nutrient based cleanse, you will not be stripping your body of the support needed as you are eliminating toxins from your fat cells and liver. 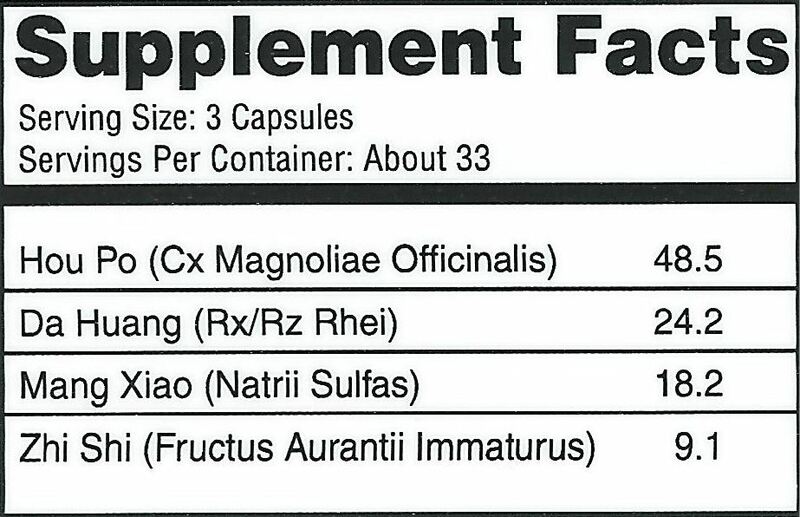 You will also be taking 2 capsules of our Optimal Movement twice a day, to assist in your detoxification through the bowels and to stimulate healthy blood flow. We have other programs that you might want to consider, 10 Day Optimal Cleanse or Debi's Diet. 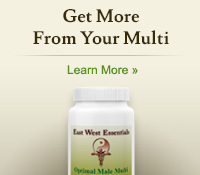 All of us at East West Essentials have a passion for wellness and want to help you reach your health goals. We are here to support you throughout your journey. Our wellness specialists have led hundreds of people through our products and programs in and outside of our clinics. Please give us a call if you have any questions. Artificial sweetener, fillers, wheat, gluten, corn, soy, yeast, dairy, colors, or preservatives. If you have any major health concerns, check with your healthcare practitioner before use. Do not use if pregnant. Keep out of reach of children. Keep tightly closed in a clean, dry place. Contents sold by weight, not volume. Some settling may occur during shipping and handling. Do not use if safety seal is missing or broken. 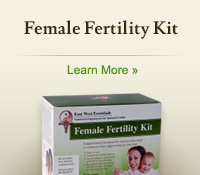 East West Essentials products are manufactured in an NSF certified GMP registered facility. GMP refers to the Good Manufacturing Practice regulations as put forth by the US Food and Drug Administration. Khloe Kardashian loves the Optimal Cleanse! C'mon, who can't devote 5 days of their life to this? It's totally worth it, stop giving yourself reasons to not do this! I get it, I was where you're at. But I finally did it. I lost six pounds. I feel great. I'm coming back for more! This is the easiest and most effective diet method I've ever done. I feel fantastic. This cleanse program has been more useful to me than any other program or pill I've tried. Thanks East West! I have never felt better and I'm seeing a number on the scale that I haven't seen in years! I did the Buddy Cleanse with my best friend and we loved it! It's so much easier to do the cleanse with a friend's support! I lost 6 pounds and she lost 4. We got both flavors, my favorite is chocolate but she loved the original! This is the tastiest diet I've ever been on. The shakes are really good, really filling. I have to make sure to take my time when I drink them, they're THAT filling. I just feel excellent after I do these 5 day cleanses. 6 pounds lost in 5 days! WOO HOO! Lifesaver before a big event like attending a wedding! Five pounds in five days... check. All scheduled to do this again next month... check. I thought for sure I was never going to make any changes on my abdomen and STOMACH. I've been working out and eating right, seeing changes everywhere but THERE! How frustrating. Friend told me to try this. Not a magic cure all but it definitely woke something up in my gut because it's going DOWN! I was getting so fed up trying diets and not seeing any results. After using the cleanse I lost 5lbs and my metabolism was boosted. It's been six weeks and I've lost 15lbs now. Still going! Your cleanse saved my life several years ago and I never knew it until a few days ago, I have been dying to tell you all! I was super skeptical about this cleanse when a friend suggested I try it. I read the booklet, I stocked up on the detox food items, and I made sure to follow it to a T. I was sure I'd drag through it and be starving all week. But to my surprise I never felt hungry and I had more energy than if I had been drinking coffee. I feel really good after this and losing 5 pounds was a nice bonus! I plan to do this again soon! When I decided to try optimal cleanse, I made sure to prepare and have most of the detox food items in my kitchen so I could follow the plan to a T. I expected it to be hard but by day three I was amazed at how great I felt and most of all not hungry. I guess since my body was getting the nutrients it craved from optimal cleanse it felt satisfied. My mind felt clear and it was easier to focus. I had more energy than I've had since I was 18 , I'm 46. By day ten over 10 lbs. had melted off my body and I have a waist again. I have since had a consultation with Haylie where she outlined a maintenance plan and also gave me many recipes to help me stay on track with my new healthy lifestyle. I've always made physical fitness a priority in my life but have not always been so kind to my body while pursuing that goal. Shortcuts with products that make bold promises but did little more than reduce the size of my wallet. . Needless to say I was skeptical about Optimal Cleanse. But I felt it was time to get back to a natural way of doing things and after researching the company and the product I felt I was making a good investment in my health. The optimal cleanse program was terrific! It's rare to find a product that not only lives up to it's claims but exceeds your expectations. I feel better. I look better. It's been said before but warrants saying again...it's a life changing program. I did my first Optimal Cleanse one year ago and I am currently on my third round. I workout five days a week at the gym doing weight training and cardio. When I completed my first cleanse I was absolutely amazed at how great I felt. Physically, I leaned down and toned up in 10 days and had BODYBUILDERS asking me how I did it. Mentally, I have never felt better in my life. With these amazing results I have been a true believer in all of Eastwestessentials.com products. I have implemented the Omega 3 Fatty Acids and the Stress Blend supplements into my diet. I swear by these products and the health benefits they offer me. Thank you so much Heather and Haylie for turning me onto this healthy lifestyle!!! Hi girls!! First of all you are so wonderfully nice on the phone, and informative!! Thank you much:))) The product rocks! OMG! I lost 15 lbs in 10 days. Not only that I feel so good and balanced. The nutrients must be perfect and exactly what my body needed! 10 days went by so fast. I ordered more optimal cleanse because I want to maintain perfection. Seriously!! I lost 10 pounds on the Optimal Cleanse. I'll be back! 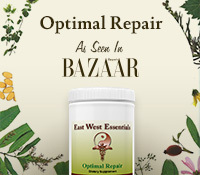 I recently tried my first East West Essentials product when I ordered your 10 day Optimal cleanse. I had never even tried a cleanse before, and I was a bit skeptical about having days where my nutrition would be provided solely in liquid form. However, I was amazed at the results! Not only did I not crave food on the shake-only days, I have craved the shake since the cleanse ended! The nutrition packed into your powder is so much better than what I was giving my body in other forms, and I was impressed with how filling and satisfying it was. In addition, despite consuming less calories, I felt more energized than ever before! I would happily recommend this cleanse program to anyone interested in finding out how great their body can really feel!